Are you looking for a way of getting a Canadian IP address? It is very easy and luckily it does not cost a lot either. A VPN is the solution you are looking for, and if you read carefully and follow these steps you will find yourself surfing with a Canadian IP in only five minutes from now! 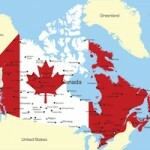 There are several reasons why you might be looking for a Canadian IP address. Maybe you would like to watch your favorite program on the Internet site of a TV station, but it is using a geo-block making it unavailable to you are your present location. Or maybe you are a looking for a VPN to secure your Internet connection, and since you are traveling to Canada, you want to get hold of a VPN provider with lots of servers in Canada. As we mentioned in the start the best way to get an IP address in Canada is to use a VPN. A VPN is a Virtual Private Network connecting your device to a server in Canada. This is a kind of a tunnel, and all information sent through this tunnel from your device to the server in Canada is encrypted, making all your private information and Internet activity a secret to the rest of the world. All your activity on the Internet will seem to originate from the server in Canada, and thus you will surf the Internet with a Canadian IP address. And once you have such an IP address former geographical blocks and hindrances will no longer stand in your way. If you want the short version, the best tool for providing you with an IP address in Canada is PureVPN. We have done quite a lot of speed testing before reaching this conclusion, and in the process, we must admit that we could probably HideMyAss and IPVanish as well, but still, PureVPN is our final favorite. To get a VPN subscription from PureVPN, click the button. What can you do with a Canadian IP address? The most common reason for needing a Canadian IP address is to bypass geo-blocks. If you, for example, want to stream CBC outside Canada, you will only get an error message telling you that it doesn’t work. In order to bypass this, you can use the VPN services of PureVPN. If you want to get a Canadian IP address to watch Canadian Netflix somewhere else in the world, things might be a bit more complicated. The reason is simple. Netflix constantly blocks VPN providers from their website, and thus almost all IP addresses used by VPN providers are blocked by Netflix. But, if you want to find a working method that will help you watch Canadian Netflix abroad, press the link to find a fully updated article. We hope you have liked this article. Should you have a question or comment, please write it beneath and we will do our best to help you out! The price for a six month period with HideMyAss is at the moment 39,9 USD, which is about 42 USD. You can also go for a one month subscription and renew it after one month, and that way the final price after three months will be about 30 USD. Another version is to go for another VPN provider, for example IPVanish. They have a three month subscription version which at the moment cost 26 USD.